What Can You Do After Medical Laboratory Technology Course? While most other fields are seeing a rapid fall in the jobs available, this field is expected to see a projected increase of 18% by 2024 (according to Bureau of Labor Statistics). We all know how challenging and exciting a career opportunity in the healthcare industry can be. Even, making it to the MBBS course or nursing degree seems too difficult. So, why not pursue a career as a medical lab technologist! With the introduction of this course, there has been a sharp increase in the opportunities available in the medical industry. The course duration for all the three courses mentioned above is different. While the bachelor’s degree is a three-year program, the diploma and certificate programs are of 2 and 1 year respectively. Also, if you are looking to gain in-depth knowledge in the field, the bachelor’s degree is a fine option. On the other hand, you can go for the diploma or certificate program in case you are short of time. Medical Laboratory Technology is also called as Clinical Laboratory Science. The field is majorly concerned with the diagnosis, treatment, and prevention of diseases by means of clinical laboratory tests. 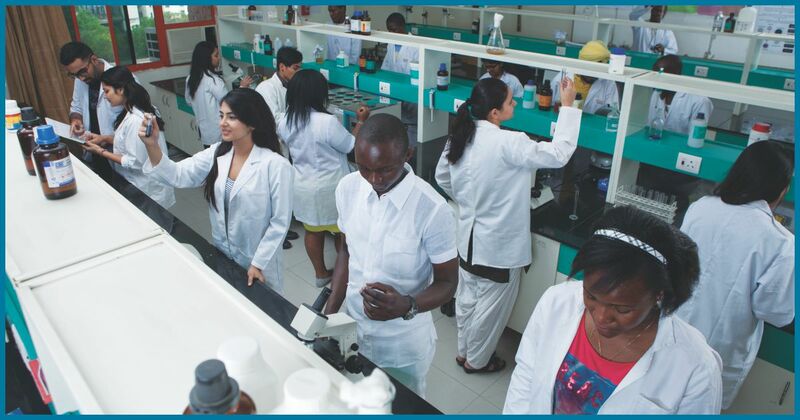 As a part of the course, the students learn to perform the tests that help in the diagnosis and treatment of diseases. In addition, the course also equips candidates with the skills required to handle advanced equipment so as to perform accurate laboratory tests. Still not interested in making a career as a Medical Laboratory Technician? Before you choose a career, you need to be able to answer the question: What does a medical lab technician do? A medical lab technician works in laboratory settings that help in disease diagnosis. But is it just ‘it’? That would be a NO. The number of duties that a medical lab technologist performs makes the position highly demanding. The work of a medical laboratory technician requires creativity, problem-solving skills, innovation and much more. What role does a Medical Laboratory Technician play in the healthcare field? Before you make up your mind if you really want to pursue this course or not, read on to find out more about the role of a Medical Laboratory Technician in the healthcare field. Do you feel hospitals and doctors’ clinics would be the same without the support of medical lab technicians? They play a very critical role in the functioning of any healthcare facility. Working under the supervision of laboratory managers and technologists, doctors conduct tests on the specimens. For Example, you are due for a blood test. The nurse takes your sample and stores it in the medical container. But what happens after that? The blood is taken to the laboratory and it is the Medical Laboratory Technician who conducts the test on the sample. What are the Career Options Available in This Field? The field includes areas such as blood banking, clinical chemistry, haematology, immunology, microbiology, cytotechnology, urine analysis, and blood sampling, etc. In fact, there are ‘n’ number of fields that can serve as suitable career options for aspirants. With the passing years, the course has multiplied in terms of what you learn, thereby multiplying the scope as well. The scope has expanded with a number of opportunities have been on the rise. A number of Medical Laboratory Technicians find employment in pathology labs, research labs, urologist office, pharmaceuticals, and hospitals. Apart from the above opportunities, an aspirant can also pursue a career in the education line. The students graduate with the degree and go for a career in Medical Laboratory Technology. A career in Medical Laboratory Technology is one of the most challenging and satisfying careers. Every day, a technician/ technologist gets to learn something new, which is great for one’s career. So what are you waiting for? If the medical field interests you, then this course is one of the options you can consider venturing into. So why not be a part of this interesting and intriguing field of medicine already?